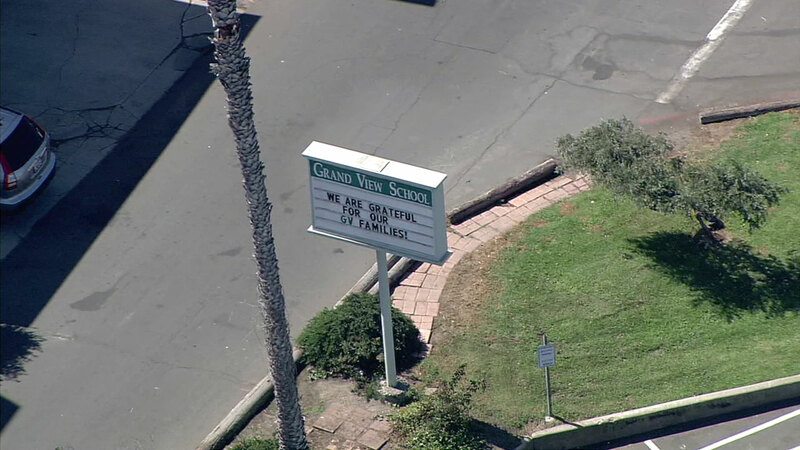 Grand View elementary school in Manhattan Beach is seeing increased security after a district employee brought ammunition to campus. MANHATTAN BEACH, Calif. (KABC) -- A Manhattan Beach elementary school is seeing increased security after a district employee brought ammunition to campus. Investigators say the employee did not have a gun or plans to use the ammunition, which was found in a closet at the school. Still, the employee was placed on paid administrative leave until more details are determined. Since Friday's incident at Grand View elementary school, the school district has remained in contact with parents and promises student safety remains a priority. "I can share with you that this serious and troubling offense is being fully investigated by the police and they have assured me based on their findings that there is no viable threat to students, staff, or school community," school Principal Nancy Doyle said. "If there had been any credible threat to our school, we would not have opened today."